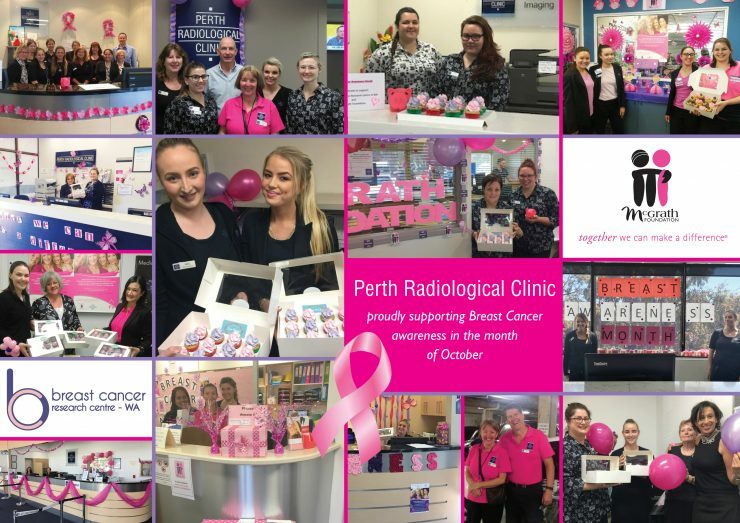 Perth Radiological Clinic thanks all of our staff and doctors for their wonderful efforts over the month of October fundraising for Breast Cancer Research Centre – WA and McGrath Foundation during National Breast Cancer Awareness Month. 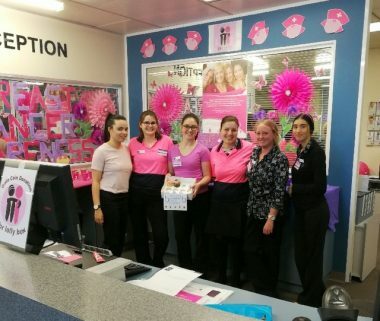 As well as donating $10 for every mammogram we performed in the month of October the clinic’s staff participated in many extra fundraising initiatives in our branches around Perth including selling purple and pink cupcakes to the doctors and staff. We are pleased to announce that this year we raised $19,341.75 bringing our total to $130,000.00 raised since commencing this annual campaign.